Today I have a layout to share with you. Its a photo of my beautiful niece Chloe back in 2009(it hasn't taken me too long to scrap eh)! So sweet!! Love the glitter matte behind the photo! 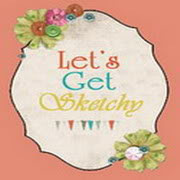 Thanks so much for playing along at Let's Get Sketchy! Oh, I love those patterned papers and embellishments. So pretty! She is an absolute doll! It's fun to get older photos scrapped. Good for you! Thanks for joining us at Let's Get Sketchy! oh how I love grungy paper! love the layout on this and you've done your niece proud! 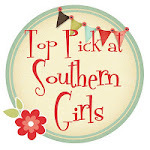 Thanks for playing with us at Southern Girls Challenge! Love the mix of vintage-y papers with those cut die cuts! Thanks for playing along with LGS! What fun elements. 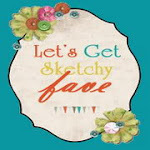 Your layout is so cute and fun.Thank you so much for joining us at Let's Get Sketchy! Beautiful page! and the girls is so cute. 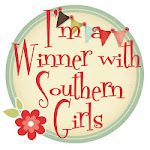 Thanks for playing with Southern Girls Challenge this week. 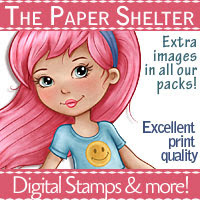 Love your photo! Your neice is such a doll. Great take on the sketch. Thanks for joining int at LGS!